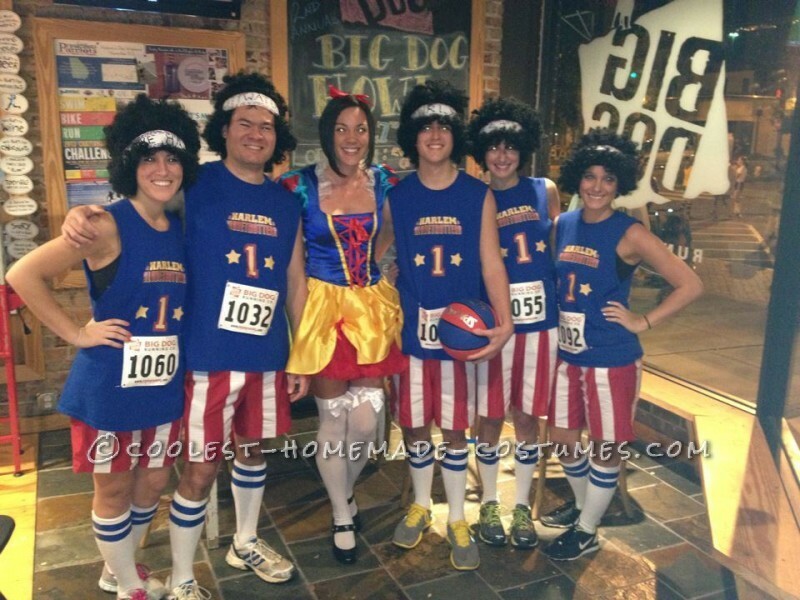 A group of us from work were running in the annual Big Dog Howl 5k in Columbus, GA and wanted to dress up as a group. We ended up winning the costume contest so that was exciting! I bought red shorts for each of us and covered them with white duct tape. One of the runners in my group bought plain blue shirts and then designed and ironed on the “#1 Harlem Globetrotters”. We cut the sleeves off the shirts to make it look more like a basketball player. I also used blue painting tape on our socks. We purchased wigs and made headbands to go around them. 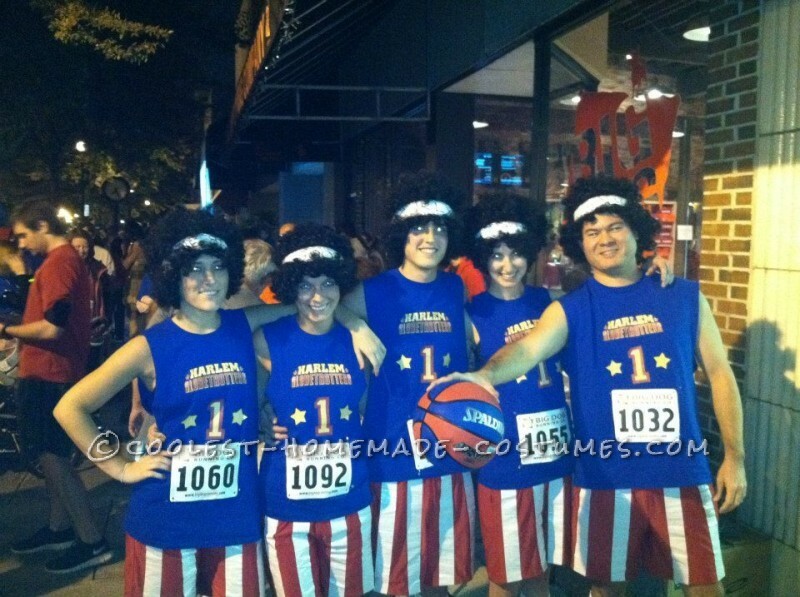 We wrote a different Harlem Globetrotters name on each headband. Our costumes were a huge hit! The 4th picture is of us posing with the judge from the contest. 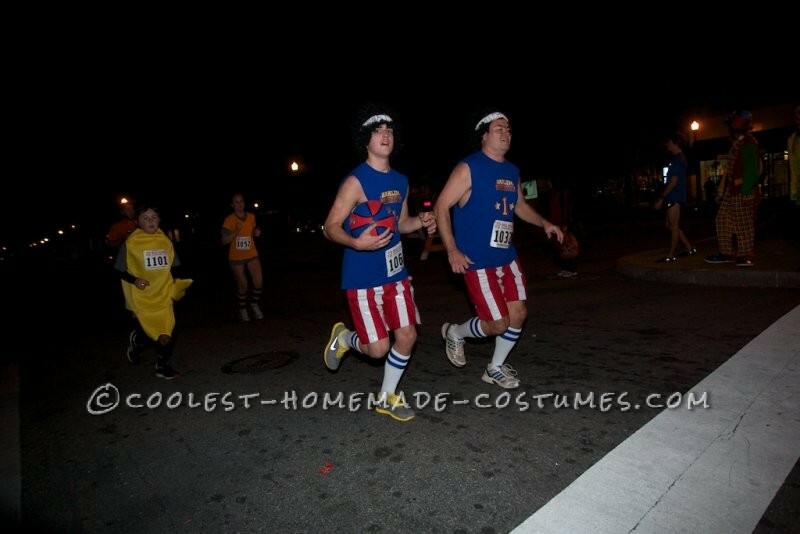 The best part was wearing the costume and running in a 3.1 mile race. One of the runners in our group even carried a basketball the entire time. We had a blast!